Browse Get Backers Gallery: Recent | Popular. 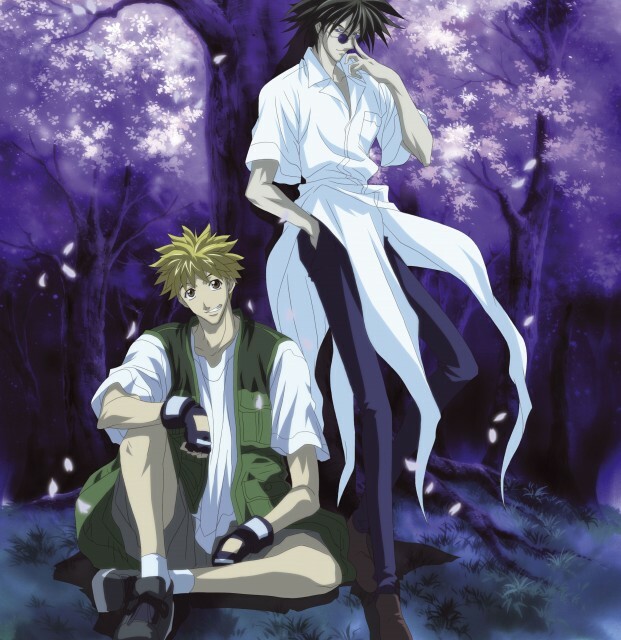 Hey i think i am the first i love this anime so much its really really cool and also the wallie is also cool i really liked the background and i think you really worked hard on this background and it would be much better if the ginji wasn't there in the wallie or it would add more flavor to the wallie if ginji was right beside ban however the wallie looks cool in overall keep it up and keep creating such wallies and thanks a lot for sharing your here in this site. cute wall - the bg and colors are well done. 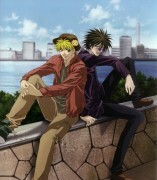 i don't like how you cut off ginji though.. looks awkward. The background is calm and beautiful. Everything is beautiful! Great job! Keep up! thanks for sharring! Thanks for sharing! Very nice pic!